In the Netherlands and many places around the world, people have realized the need for an internet privacy and how a VPN service can provide a full online privacy, anonymity, and security to any internet users. The best Netherlands VPN services not only provide internet security but also gives complete freedom to circumvent firewalls and Geo-restrictions around the world. The VPN also lets you hide your original IP address and get Dutch IP address from abroad. In 2006, together with all other European Union member states, the Netherlands accepted Data Retention Directive as a national law. However, there’s a lot of confusion in regards to this law. It requires all telecom service providers, including ISPs to keep logs of all communication through the phone and online activity made by any EU citizens. Also, ISPs have to save records for 12 months. However, the Netherlands government has been successful in negotiations to reduce the period to only six months. The Netherlands, Sweden, Switzerland, Romania, Luxemburg, and Bulgaria after careful analysis of the Data Retention Directive Articles have concluded that Virtual Private Networks are not covered by the directive as it does not provide internet access. Therefore, these countries are very favorable by VPN providers. Most of the international VPN providers have located their servers in these countries. With the VPN software for the Netherlands, you can protect yourself against data retention law. The Dutch VPN denies access to your private data and information. Use a Virtual Private Network, which encrypts your Internet connection and protects your data by keeping your internet activity private and secure. Don’t let the Dutch government either the European Union to spy on you. Many sites and content online restrict access to users from different countries. For example, if you are in the United Kingdom, your original IP address is from the UK. Therefore if you try to access some website in the Netherlands, you may end up being restricted from the access. It’s known as geographic restrictions. You can bypass it if you connect to a VPN server Netherlands and get Dutch IP address. 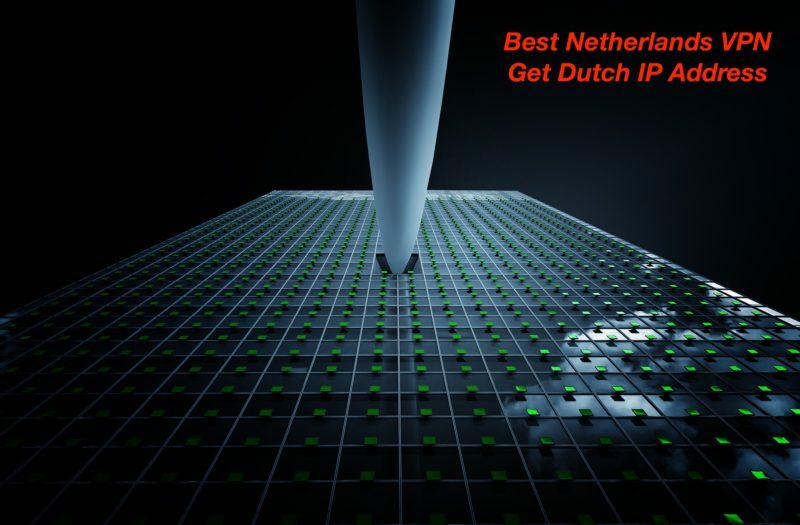 VPN proxy services allow getting an IP address from the Netherlands. Therefore, enabling you to unblock websites with the Dutch VPN service. It works the same with other foreign websites. For example, if you are in the Netherlands and wish to watch Netflix US version, all you need to do is to sign up to a Virtual Private Network provider with a server in the USA. It will allow you to get US IP address and bypass restrictions easily.